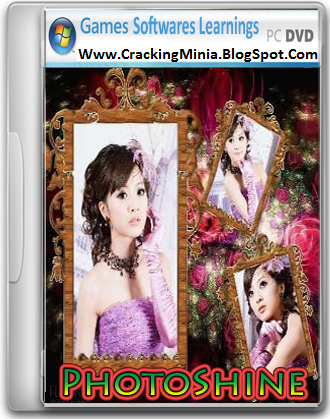 PhotoShine 3.45 allows users to place their photos into 700 different templates (the trial limits you to 102). The quality of the templates varies greatly; some look pretty nice and could conceivably be printed and framed for display. Others...not so much. Though the interface was somewhat ugly, it was uncluttered and easy enough to use. The templates that purport to make your photo look like it is featured on a magazine cover are particularly bad, with terrible text and the occasional spelling error. Many of the other templates seem to be made for teenage girls only, which is fine if you fall into that demographic, but you may find the selection a bit limited if you don't. Whether or not all of the templates were to our liking, we have to give the program a big thumbs up for its ease of use. You can easily load photos from your computer into the program and adjust them so that they are properly centered within the template. With many of the templates you can use multiple photos. PhotoShine 3.45 offers limited photo editing capabilities: users can make a photo black and white or "old" (a poorly rendered, greenish version of sepia), or give it a sketched look. All of the editing functions are easy to locate and use.